American Electric Power Site Certification: The 38 acre site in the Eagle Rock Industrial Park became the fourth site in northwest Ohio to receive the Austin Consulting “Shovel Ready” Site Designation for the Food and Beverage Industry. American Fine Sinter: A global manufacturer of parts for the automotive, railroad, industrial machinery, and hydraulics industries with their North American headquarters in Tiffin. In November 2014, American Fine Sinter announced a $16 million expansion that will result 24 new employees and the retention of 140 employees. Concordance Health Care Solutions: Supply Company, headquartered in Earth City, Missouri and Seneca Medical, headquartered in Tiffin, Ohio jointly announced that they have entered into a definitive merger agreement to form Concordance Healthcare Solu­tions, LLC. The combination will bring together three strong, growing and respected regional medical supply distributors. Concordance will have approximately 1,000 employees, 19 distribution centers and $1.1 billion in annual sales. National Machinery: A global leader in cold forming machinery and process technology headquartered in Tiffin, announced in May 2014 a $6.5 million investment and the creation of at least 20 new jobs with the retention of 294 existing The project involves an expansion of both manufacturing and research and development capacity. Nox Corporation: A global manufacturer that sells vinyl tile for commercial customers to use in building flooring for applications like hospitals and large offices in 50 different The South Korean company cut the ribbon on their first US factory with a total investment of $32 million and the creation of 50 new jobs. Taiho Corporation of America: The Japanese automotive supplier currently employs 180 and manufactures more than 120 million parts a year at its Tiffin location. 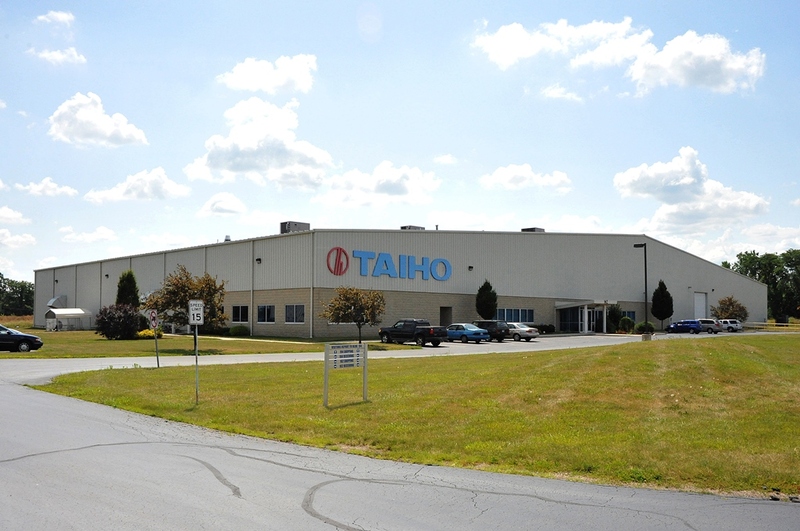 Taiho announced in August 2015 an $8 million, 50-job expansion at its North American headquarters and manufacturing operation in Tiffin. The project is expected to be completed three years and brings the company’s total investment to more than $21 million since 2012. Tiffin Metal Products: A custom solutions provider serving the outdoor advertising, material handling and storage product industries located in In March 2015, Tiffin Metal announced an expansion that includes an investment of $750,000 and the creation of 18 new jobs with the retention of 91 existing employees. Webster Industries: A premier leader in industrial conveyor chain and vibrating conveyors, used in a wide variety of industries including forest products, food, automotive, cement, grain, asphalt, recycling, and steel industries. Webster announced an $8.3 million expansion and the creation of 65 new jobs. Tiffin beat out Meridian, Mississippi and northern Alabama on the expansion. 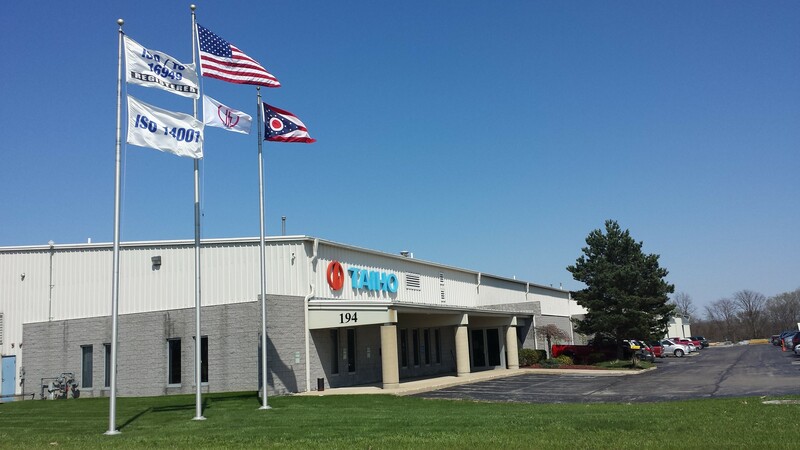 On Monday and Tuesday of next week, the Taiho Corporation of America will hold its second open house and hiring event at its Tiffin, Ohio headquarters. The event will take place between 1:00 and 5:00 pm on Monday, October 20 and Tuesday, October 21. Everyone in the community and potential job-seekers are invited to attend. Please be aware that the plant tour requires long pants and no open toed shoes. Those interested in employment can talk with company representatives or send a resume to 194 Heritage Dr., Tiffin, OH. Taiho Corporation is a $60 million company founded in 1944 that has operations worldwide, employing ca. 1,650 employees. Their first overseas plant was established in Tiffin in 1996, where they manufacture bearings, crank washers, bushings, and piston shoes for the automotive industry. Taiho in Tiffin sits on 20 acres and has two facilities – one that is 117,000 square feet and one at 70,000 sf. Within the last couple of years, they constructed 40,000 additional square feet of space and indicated they would be adding 45 new positions. The total investment of that expansion was $13 million. For more information, please check out their US website and their parent company website.